Blackwing by Ed McDonald~ Mini Review! Out now from Gollancz, you can get your copy of Blackwing by clicking HERE! Ed’s debut novel Blackwing is the first part of The Raven’s Mark trilogy. Blackwing will be published on July 20th 2017 by Gollancz in the UK, and October 2017 by Ace in the United States. German, Spanish, French, Hungarian and Russian translations will be available from 2018. Loved Blackwing! I’m new to this whole fantasy book reading thing, but I’m starting to figure out what I enjoy and Blackwing is just amazing! It has epic world-building, a damn fine main character, a band of supporting characters that is both motley and brilliant, and an absolutely insane plot! The concept of the Blackwings is one of my favourite things about the book. I mean, what’s not to like about ravens ripping themselves out of your arms to deliver you a (usually bad) message?! I jest, but I do like the gruesomeness of Ed McDonald’s mind. Its dark, and messy and the exact kind of thing I enjoy reading about. Special mention to The Misery, because to be air, it is bleak as f***. Riddled with dangers, seen and unseen, and just a generally rubbish place to find yourself. Not least when a war is coming. I really enjoyed the magic system in this one. How it was made, maintained and described was super cool as imagining the horrors made the book even more immersive and dark. So yeah, Blackwing… superb! I cannot wait for the next one! Author bibliophilebookclubPosted on August 30, 2017 August 27, 2017 Categories Books, ReviewTags Blackwing, Ed McDdonald, fantasy, Gollancz, review, trilogy4 Comments on Blackwing by Ed McDonald~ Mini Review! 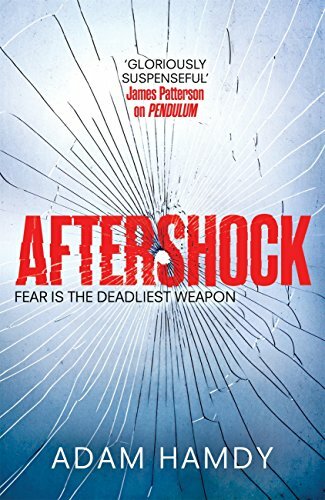 Eight months after confronting Pendulum, John Wallace is losing himself in a dangerous warzone in a misguided attempt at penance for what he has done. But an assassination attempt makes Wallace realise that he has once again been targeted for death. This time, Wallace is prepared and, tracking down his would-be assassin, he discovers a link to his nemesis, Pendulum. The link is the missing piece of a puzzle that has tormented FBI Agent Christine Ash ever since they confronted Pendulum, but with no Bureau support she has been unable to progress her case. Wallace’s proof breaks it, but also exposes them both to terrible danger. Confronted by a powerful, hidden enemy, Ash and Wallace must overcome impossible odds if they are to avert a dangerous challenge to the networked world that threatens to destroy our way of life. Adam Hamdy is an author, screenwriter and filmmaker who has worked with studios and producers on both sides of the Atlantic. Adam is currently writing Oracle, an original drama series, for the BBC, and is developing To Kill A Shadow, a crime thriller, with See-Saw Films. In addition to his own original work, Adam has adapted a number of comic books and novels for the screen, including the forthcoming film version of David Mitchell’s novel, Number9Dream. Prior to becoming a writer, Adam was a strategy consultant and advised global businesses operating in a wide range of industries. Adam’s first novel, Out Of Reach, was published by Dare in 2015. His second, Pendulum, was published by Headline in November 2016. The follow-up to Pendulum, FREEFALL, will be published late 2017. Days after Pendulum’s release, the screen rights were snapped up by Tom Hardy’s production company, Hardy Son & Baker. Having read and loved Pendulum, I was more than a little excited to see early proof copies of Freefall on twitter recently, and even more delighted to receive one myself. This is one book I had been waiting for, pretty much since I finished Pendulum, so there was no question of my leaving the book aside until publication, NO SIREE!!! In fact, I brought it away with me to read while I was away with my husband for our wedding anniversary. Luckily, my husband understands the need to read the much anticipated books so I didn’t feel bad about losing myself with John Wallace for a few hours! A) What are you waiting for? B) I won’t be saying too much about it because SPOILERS ARE A NO-NO! Still reeling from the events that took place in Pendulum, John Wallace has fled to a war zone in an attempt to try and find penance for what has taken place, and, in my opinion, he’s seeking danger in the hope that it may cause an end to his personal torment, but that’s neither here nor there. When there is an attempt on his life over there though, it leads him to think that someone wants him dead. However, Wallace has been through this before, so he knows what to do. What he is NOT expecting though, is that there’s a link between his would-be assassin, and his old enemy, Pendulum. This attempt on Wallace’s life sets in motion an terrifying chain of events which nobody could have foreseen. Not even Agent Christine Ash. Yep, she’s back (woop!) in Freefall, and still diligently trying to work the Pendulum case, but with no breaks and even less help from the Bureau, she’s plateaued with her work on it. Called out to the scene where a masked killer beheads his victims with an unknown weapon that leaves a perfectly clean cut, Ash gets the break she needs. BUT during course of her investigation, Ash finds way more than she bargained for. Ash is also having a bit of a rough time as regards confronting her past (READ PENDULUM to find out why!!!) and this will either sharpen her focus, or weaken her resolve in terms of her ability to work the case. I think Adam Hamdy has done a great job with her character arc in this book too. It’s much more intricate, and there’s a lot of inner turmoil that he captures really well when she’s alone. Another returning favourite is Patrick Bailey. Bless him, he’s another one struggling to get his life together in the wake of the Pendulum nightmare. Plagued with insecurity and fear, Bailey is a shadow of his former self. When he gets a call to assist on a case, once present it becomes evident that there is much more at play than what’s in front of him. Bailey must work fast to find what he needs before it’s too late. However, as I’m realising, the author has a knack for pulling the rug out from underneath the reader without warning. I don’t usually read YA, in fact I can probably count on one hand how many YA books I’ve read in recent years so that was the only thing making me wonder whether or not I’d enjoy this book as its a little different to my usual reads. Lumikki is a fun character. She reminds me of Lisbeth Salander, a comparison drawn between the pages too, and it’s pretty damn accurate. 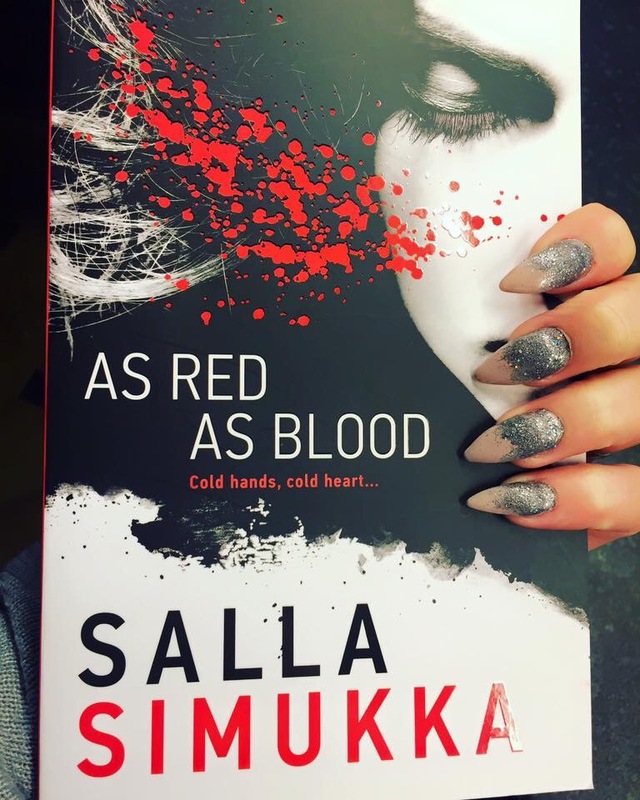 The only difference being their age, but both are strong characters and Lumikki is more than capable of looking after herself as the reader finds out on more than one occasion. The story for As Red As Blood is also really engaging. There’s a Nancy Drew-esque mystery to solve, and along with some schoolmates Lumikki is drawn into a rather unsavoury situation involving murder, corruption and drugs. Heavy themes for a YA novel, but they work really well here. As Red As Blood is the first in the Snow White trilogy, and upon finishing it last night, I was more than tempted to dive straight into the next one, As White As Snow, because the way it finishes certainly leaves the reader wanting more. 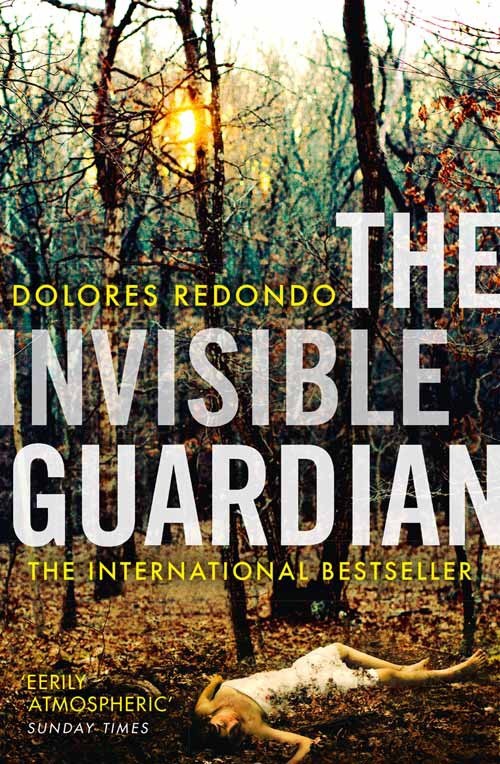 My thanks to Hayley at Harper Collins for my copy of The Invisible Guardian to read and review. I’m honoured to be the last stop on the blog tour for this book, the first in the Baztán trilogy. serial killer at loose in a region steeped in the history of the Spanish Inquisition. I had seen The Invisible Guardian pop up on social media a couple of times, so when I was contacted by Hayley to see if I was interested, naturally it was a yes. I was intrigued to read this Spanish bestseller to see what it was like! Initially, I found it hard to get into. It took a while for the story to progress and there were many asides to do with Spanish mythology and with character backgrounds. However, these descriptions all (whether I realised it or not) had some impact on the developing story and it was all explained much later on. I liked Inspector Salazar as a character. Well written and quite a strong woman, she didn’t take any prisoners (pardon the pun) and did her job well. Salazar, like many main characters, has her own hidden weaknesses and some of these threaten to undo her during the course of the book. The murder investigation takes many different twists and turns, and I honestly couldn’t see where it was going for quite some time! Every time I thought I had the perpetrator, the author cleverly pointed the finger in another direction. I quite like that in books, as it makes you think back over what made you choose one person over another and what changed for the characters. 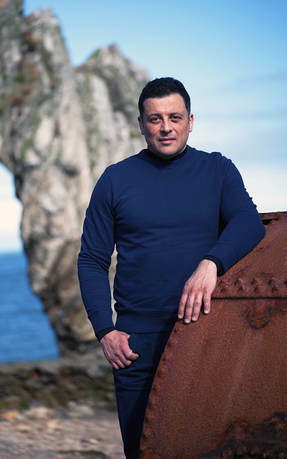 Redondo has skilfully written in Basque heritage and mythology into her novel. The pictures painted are wonderfully vivid, misty mornings that roll on, dense forestry and a flowing river all add to the darkness of the ritualistic subject matter in The Invisible Guardian. I really enjoyed this book, and I would happily read the following two books in the Baztán trilogy. This was a no brainer for me. As a member of Rick’s Book Club over on Facebook, I knew not every book would suit my taste. 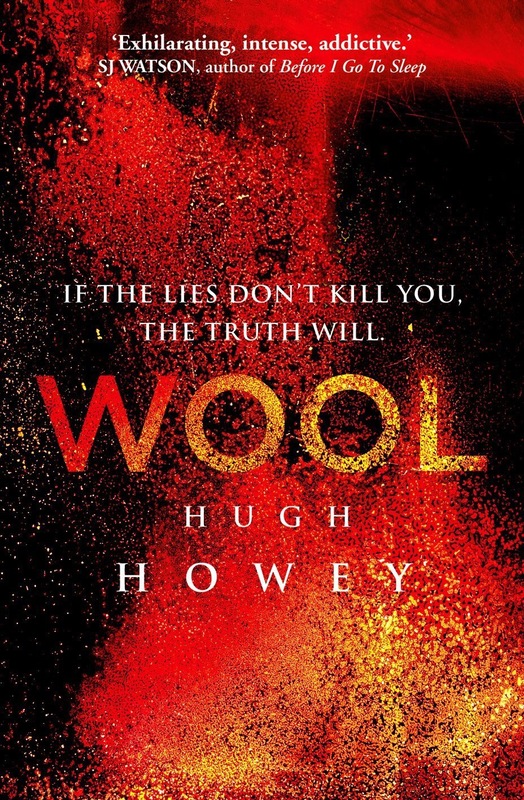 When I saw Wool I groaned inwardly. It was not my genre of choice, it wasn’t even in my top 3 so I put off reading it until the last week of whatever month it was picked for. In a ruined and hostile landscape. in a future few have been unlucky enough to survive. a community exists in a giant underground silo. Inside. men and women live an enclosed life full of rules and regulations. of secrets and lies.To live. you must follow the rules. But some dont. These are the dangerous ones; these are the people who dare to hope and dream. and who infect others with their optimism.Their punishment is simple and deadly. They are allowed outside.Jules is one of these people. She may well be the last. I clearly remember reading this synopsis and thinking to myself ‘nope, not gonna be good’. I posted in book club to see how everyone else was doing and I said I was struggling. Someone said once you get past page 120 you’ll enjoy it. They were spot on! Seriously, once I broke through page 120 the book was amazing!!! I could not put it down! I devoured the book very quickly after that and absolutely loved it! If I had given up I’d have missed out on a wonderful, thought provoking book. Even now, months later, I still find myself thinking about Wool. It was completely unexpected just how much I loved it. I didn’t want it to end!